I will admit that I’m not the most outdoorsy person there is, but like 12 million other yearly visitors, I have fallen in love with St. Louis’ beloved Forest Park. As “one of the largest urban parks in the country” and “approximately 500 acres larger than New York’s Central Park,” according to the official Park website, one could justifiably assume two things: there is never a dull moment, and there is always something to do there. 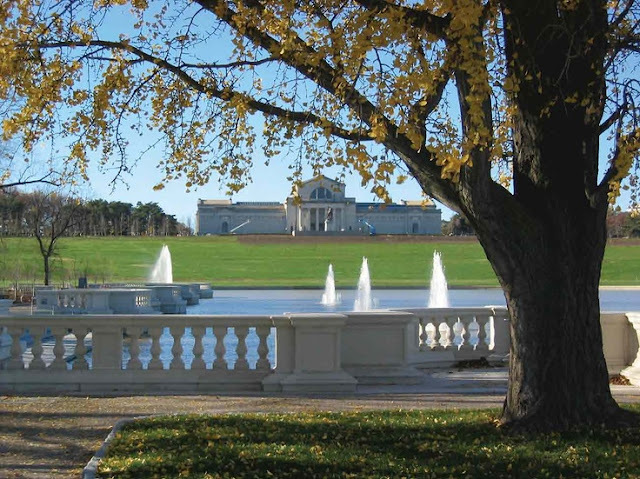 Whether you prefer to catch a live show at the park’s open-air theater, The Muny, brush up on your history and the world of art at the Art and History museums or enter into extraterrestrial worlds via the Science Center, your summer will not be complete until you discover why Forest Park is considered a must-see tourist attraction. 1. Take a hike (or a light jog), pal! Grab your water bottles, slap on a sweatband or two and join the fitness frenzy happening year-round on over 1,000 acres of historical gathering ground. For many, maintaining a healthy lifestyle begins with a scenic bike ride on one of the park’s gravel trails and ends with the laying down of a yoga mat near nature’s finest gardens and ravines. Forest Park hosts the limitless freedom to explore everything the great outdoors has to offer, so do your body a favor this summer by trading in your car keys for a walking stick and some fresh air. Unfortunately, with the world around us moving at a constant, rapid pace, sometimes we fail to make time to relax. One of my favorite places to visit while at Forest Park is Art Hill. Here, the park’s motto, “keep on the grass,” is actively practiced by kite-flying enthusiasts, sunbathers and families like mine who spend more time bickering over where to set up camp than on my mom’s food choices for the day. If you’re looking for an unique restaurant experience, make sure to check out the Boathouse. Located on Forest Park’s Post-Dispatch Lake, the pet-friendly eatery is famous for its boat rentals, “lakeside patio dining, cold drinks, live music” and breathtaking sunset views. Its open, rustic flair during the daytime and romantic essence at night makes for both an attractive, casual affair and a winning first-date destination. 4. Get acquainted with some unfamiliar faces! No matter how many times I go, I always find a reason to head out to the Saint Louis Zoo. Not only do I get to flaunt my fanny pack, my binoculars receive a day’s worth of action as well. Animal lovers ought to prepare to have a field day as they make their way through the zoo’s six zones (River’s Edge, The Wild, Discovery Corner, Historic Hill, Red Rocks and Lakeside Crossing). Crowds of all ages will be awed by what they’ll spot lurking behind every liar, skating cool on the ice, flying high above, and, most remarkably, by the price of admissions – it’s free!